Sorry, I couldn’t resist poking a little fun at all those click-bait titles… but when thousands of people (5,484 at last count) come together to do something for their health, and the health of their families, communities, and our planet, it truly is amazing. Each year our movement has grown — and it gives me hope for the future. It means the pendulum is starting to swing back from ultra-processed foods to real food, and it’s gaining momentum. By continuing on this path, we will shift our world to what we want it to be. So please keep seeking out nutritious, delicious, unprocessed food. The more we demand it, the more the market will provide it, helping ensure everyone will soon have access to unprocessed, wholesome, and affordable food. It’s staggering the number of people who came together and volunteered their time, expertise, and talents to help make this project happen. First and foremost, I want to thank all the guest authors, who shared 36 guest posts throughout the month! Their contributions were delectable, creative, beautiful, helpful, and inspiring. I’ve said it before, and I’ll say it again: The food blogging and wellness community is one of the finest groups of people I’ve ever been blessed to know and be a part of, and for that I am truly grateful. Thanks also to KitchenAid for the Multi-Cooker with Stir-Tower Accessory giveaway, and to Lernert & Sander, for generously allowing me to use their delightful “Cubes” photograph (you can purchase a signed print of the image directly from them — mine just arrived from Amsterdam!). Finally, a big Thank YOU to everyone who took the challenge and participated in any way – including those folks who weren’t ready to sign the pledge, and just read along all month. This challenge is really all about all of you, and I hope it’s been a great experience. I’d love to know how the challenge went for you. What was your experience like? Did you have any revelations? 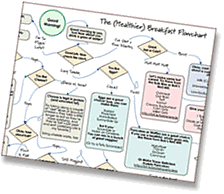 Overcome a specific hurdle? Or did you only “make it” for part of the way? And most importantly: What will you take with you, moving forward? Leave a comment below, and let us all know! Because of you doing this from the first time. I have been trying to keep it up all the time. Its working well for me. Thank you for starting this up for all of us. I never would have done it with out you telling me about trying it for a month way back then. I began a whole foods plant based diet in 2010 and have never looked back. This is my 3rd and most successful October unprocessed yet! Thank you for motivating me and so many others to remember what real food is. I have pledged to myself to continue on and make unprocessed the new normal for myself. Still working on my family! 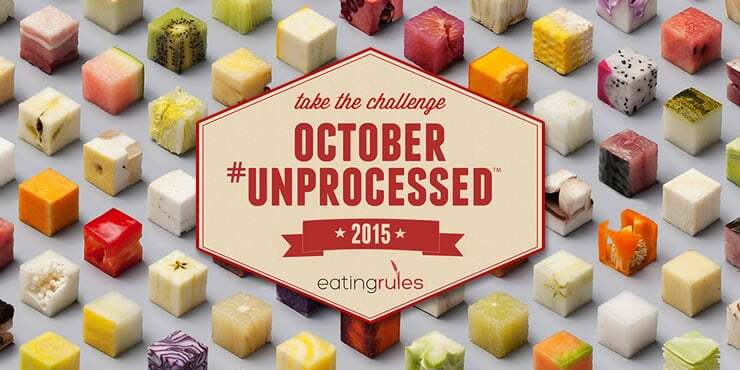 Last year was my first time doing October Unprocessed, and it changed the way I looked at eating. I did add many things I learned throughout the year, although I wasn’t as good as I was during that first month. I read all labels now, shudder at boxed foods like hamburger helper and mac n’ cheese, and have incorporated many new healthy recipes into my diet. 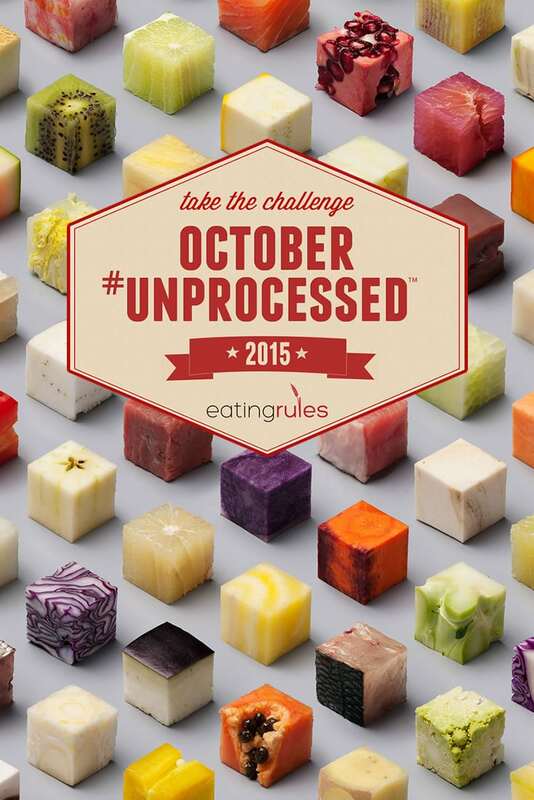 This year’s October Unprocessed helped remind me of some of the things I forgot, and introduced me to even more recipes, for which I am ever grateful!!! I will admit I wasn’t as good as last year; however, the last two weeks I did step it up. Thank you, Andrew Wilder, for creating this fabulous journey!!! You have made a great difference in so many lives by creating this community and inspiring us.